RANLife Real Estate is extremely proud to announce one of our agents, Wes Goldberg, was awarded The Rookie of the Year by the Salt Lake Board of Realtors. Wes has been with RANLife since 2015. Wes is a great asset to our “RANFAM” and we are so happy that his efforts and hard work has been acknowledged and rewarded. Wes has been in the Real Estate industry for 14 years. He played various roles and chose to take on Real Estate this last year because it was less stress and more freedom. He says he doesn’t like to waste time. “When I’m at work, I’m here to work, not to play games.” And that work ethic has surely paid off. When asked about key elements that made his first year in real estate such a success he replied with, “I keep my head down, I don’t let distractions get in my way and I try to find a solution to whatever obstacle is placed in front of me.” He encourages people who are self-motivated, and hard workers to pursue a career in Real Estate. We are thrilled to have such a successful real Estate team. And look forward to making 2016 even better than 2015. We would like to thank everyone at RANLife for the help and knowledge he has gained. He says he can’t think of a better brokerage with better people. 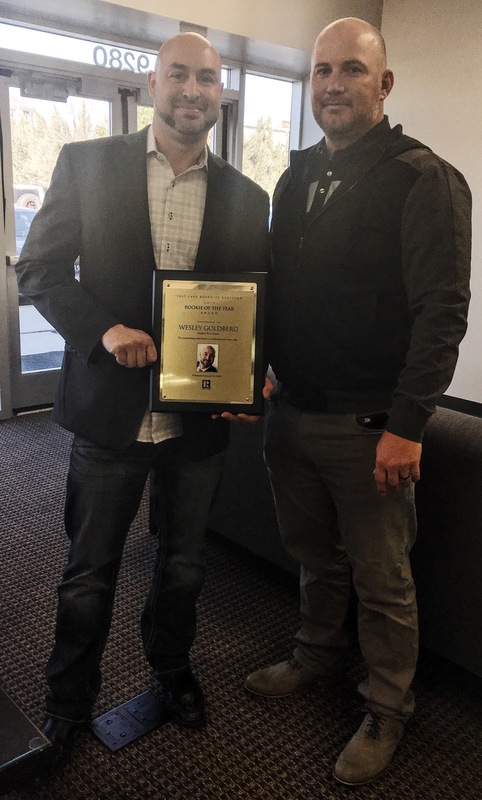 Wes has been one of the many agents whom we welcomed to our RANLife family who have shown tremendous success since opening our Real Estate division in 2007. We are so happy to be able to provide great service to those looking for a home. From getting Pre-Approved to closing on your home, RANLife INC. and RANLife Real Estate are here for you. Get Pre Approved today! Or find a Real Estate Agent! Click the link for more information about our company as well as contact information.